Meet Veronica-Lynn. 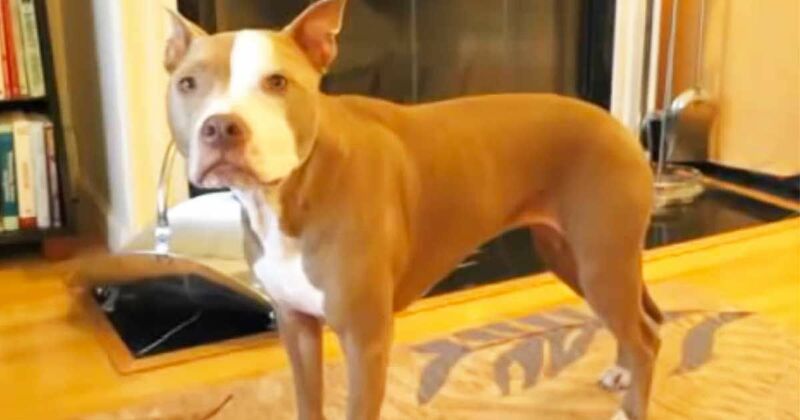 She's an American pit bull terrier who has learned quite a few handy tricks in her 10 years. Using only "force free, positive reinforcement based training," her owners have taught her how be a very well-behaved and helpful member of the family. Watch what she does when her momma says she isn't feeling well and fakes a sneeze. Pit bulls are not an individual breed, but "a generic term often used to describe all dogs with similar traits and characteristics known to the public as 'pit bulls,'" notes PBRC.net. This includes American pit bull terriers, American Staffordshire terriers, Staffordshire bull terriers and mixes with those breeds. While collectively they have been given a negative reputation, PBRC writes that they can be excellent companions for responsible owners. Though pit bulls are not without their challenging traits (as is true of all breeds), PBRC goes on to describe pit bulls as "intelligent, very responsive to training, and, above all, eager to please." If there is any doubt, just watch what Veronica-Lynn can do. If you found her impressive, don't forget to SHARE this video with your friends.